We hear so much about New Mexico chiles that we tend to forget that many other crops are grown in our state. The number one ag crop is alfalfa and the number one food crop, in value, is pecans, and chiles are second now. But we also grow lots of fresh market crops like, believe it or not, cabbage, seen at left. Farmers in New Mexico also grow lots of onions and peanuts. On a recent trip to Las Cruces, I encountered the three fields in this post from Arrey south to Las Cruces. 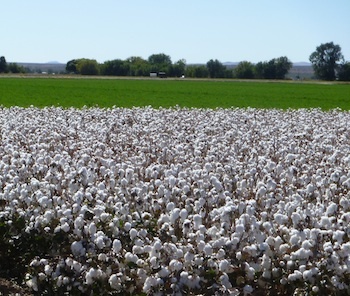 A very important non-food crop in New Mexico is cotton, and the brilliant white bolls really stand out, as you can see in the next pic, at right. That said, we are most famous for chile peppers and rightly so. 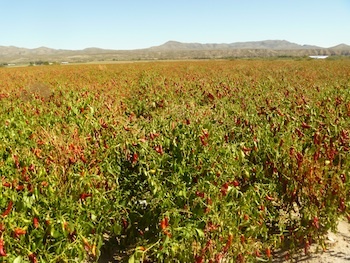 The green chile harvest is mostly over now, and growers are letting the pods turn red and they partially dry on the plant. These pods can be machine-harvested, unlike the green pods, which are hand-picked because they are more fragile. The large field at left, near Arrey, will be harvested soon and the pods placed in tunnel dryers to complete the process. 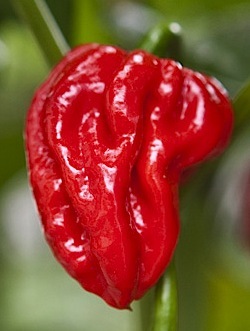 Then the pods will be bagged and sold, or ground into powder, or made into ristras for home decoration.